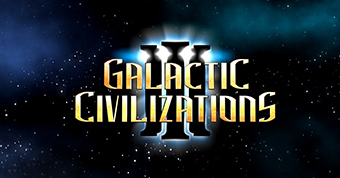 Hello Talha Yasin, here are the best deals from GamersGate this week! An iconic real-time tactics series returns: Pre-order Sudden Strike 4, save 15%, and get a free skirmish map, soundtrack, and artbook! Enjoy bigger battlefields, more units, better graphics, new scenarios and legendary commanders with individual abilities! Feel the computer systems of San Francisco and Chicago at your fingertips as you fight for freedom against an oppressive AI! All games, editions, and DLC on sale! Get up to 15% additional discount on any order by paying with Razer zGold! Our Bethesda Summer Sale continues with lots of best-ever prices! Save up to 80% on Fallout 4, Dishonored 2, Doom, TES Online, Skyrim, the Wolfenstein games, and much more! Classic and new Atari games on offer at bargain prices: Build your own theme park in Roller Coaster Tycoon World, enjoy 100 classic console and arcade games in the Atari Vault, accelerate your fun in Test Drive Unlimited games, and more! 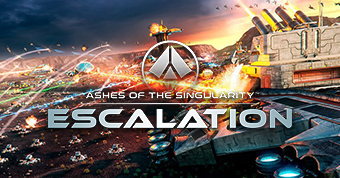 Flash Sale: Get Stardock's massive sci-fi RTS and wage war across worlds with thousands of units! Flash Sale: Enjoy refined turn-based 4X space strategy on huge maps across the galaxy, now at 70% off! Missing some amazing indie games in your collection? Fill the gaps with games from Missing Link and save up to 91%! Fight huge mythological beasts in the FPS Legendary, play a female WWII operative in Velvet Assassin, kill mutated creatures in the horror FPS Dementium II, and more! New pre-order at 10% off: Blood Bowl 2 Official Expansion and Blood Bowl 2 Legendary Edition (the complete all-in-one pack)! Get all the teams and enjoy Cyanide's spectacular but faithful rendition of Games Workshop's iconic fantasy sports game! To unsubscribe from this newsletter, click here.